the transfer of inserted genetic material to other domesticated or native populations, generally known as gene flow, through pollination, mixed matings, dispersal or microbial transfer. Because these potentially adverse effects have been documented in the field with non-GMO species, and because the consequences of these effects could be serious, it is important to regulate and monitor all introductions of GMOs effectively. Field experiments in ecology take months or years to become valid. Furthermore, current data on GMOs in the field should be viewed as location-specific, and extrapolations from laboratory or computer simulation to the field must be made cautiously. GM crops are commercially available and planted on more than 40 million hectares across six continents. These plantings represent the largest-scale experience in the introduction of GMOs into ecosystems, and they have become the focus of environmental concerns. Activists, worried about GMOs being released into the biosphere, have destroyed test plots in at least four continents. This may show the depth of their commitment, but it also prevents anyone from learning from the data that should have been collected from those tests. The majority of the area under GM crops is planted with varieties resistant to herbicides. These herbicides are associated with a shift towards less mechanical tillage in large-scale arable crops, which reduces primary soil erosion. Early on, weed scientists appreciated and studied the environmental consequences of introducing GM crops, especially for weed control. 1. The repeated use of one herbicide causes a shift in the weed flora because there is very high selection pressure on weeds to evolve biotypes that are resistant to the herbicides associated with transgenic plants bred to be tolerant of those herbicides. 2. Gene flow occurs with the spread of genes through pollen and outcrossing from herbicide-resistant crops to related weed species. In the absence of the particular herbicide, the possession of this trait is unlikely to improve the strength of the weeds but, when the herbicide is applied, it would improve the weeds' strength and could reduce the economic benefits of herbicide resistance. 3. The risks of gene transfers are higher in areas of origin and diversification. Care needs to be taken to ensure that native germplasm, including weed and wild crop relatives, is not affected by the transfer of herbicide-resistant genes. Monarchs (Danaus plexippus), migratory Lepidoptera that feed on milkweeds, are the best-known butterflies in North America. A well-publicized study of GMOs showed that Bt maize pollen was toxic to laboratory-fed Monarch butterfly larvae. 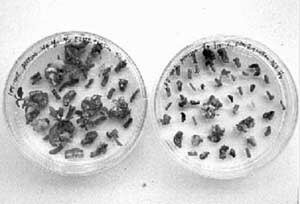 A study later collected pollen-covered milkweed plants, which were found growing naturally next to Bt maize fields. 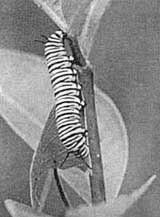 A significantly larger proportion of Monarch butterfly larvae that fed on these field-collected plants died compared with those fed pollen-free plants. using trap plantings to concentrate pests away from commercial crops - usually combined with better targeted applications of conventional insecticides. While the total area planted to insect-resistant Bt crops is less than one-fourth of that planted to herbicide-tolerant crops, commonly recognized problems are under intensive research. This research focuses on the applied aspects of managing agro-ecosystems for intensified production, but public attention to GMOs has also encouraged scientists in academic and other public sector institutions to carry out more basic ecological studies, especially concerning the impact of GMOs on non-target species. 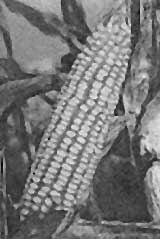 For example, Bt varieties have been found to secrete Bt toxins into soil root zones; these zones then produce higher concentrations of Bt toxins than are normally found, which may affect populations of soil insects that do not eat crops. The prominence of the Monarch butterfly as a much-loved insect in North America, where the largest areas of GM crops are now grown, has generated the most detailed research into the impact of GMOs on wild species, as well as considerable consumer attention. Regulatory issues, especially those related to quarantine, invasive species and biosafety become very important when GM crops move internationally, as facilitated by trade. International treaty bodies such as the International Plant Protection Convention, the Convention on Biological Diversity and the Cartagena Protocol on Biosafety are actively engaged in constructing a suitably workable framework. More specific regulatory mechanisms include the draft Code of Conduct on Biotechnology as it relates to Genetic Resources for Food and Agriculture, under development by countries through FAO. "In order to protect the environment, the precautionary approach shall be widely applied by States according to their capacities. Where there are threats of serious or irreversible damage, lack of full scientific certainty shall not be used as a reason for postponing cost-effective measures to prevent environmental degradation." "In accordance with the precautionary approach contained in Principle 15 of the Rio Declaration on Environment and Development, the objective of this Protocol is to contribute to ensuring an adequate level of protection in the field of the safe transfer, handling and use of living modified organisms resulting from modern biotechnology that may have adverse effects on the conservation and sustainable use of biological diversity, taking also into account risks to human health, and specifically focusing on transboundary movements ... the Parties shall ensure that the development, handling, transport, use, transfer and release of any living modified organisms are undertaken in a manner that prevents or reduces the risks to biological diversity, taking also into account risks to human health." forest area, is expected to increase and to provide one-third of the total wood supply by the year 2010.
producing species for use in intensively managed plantations. There is no reported commercial-scale production of GM forest trees. Traits for which genetic modification can realistically be contemplated in the near future include insect and virus resistance, herbicide tolerance and modified lignin content. Modification of lignin is a potentially important objective for species grown for the production of pulp and paper. Wood with modified lignin requires less processing with harsh chemicals and is thus environmentally benign. It has also been pointed out that, as lignin content is associated with resistance to insect feeding, the overall impacts of modified lignin should be carefuly investigated. Monitoring should include possible secondary effects, such as changes in the incidence of insect damage, including in surrounding forests. A major technical factor limiting the application of genetic modification to forest trees is the currently low level of knowledge regarding the molecular control of traits that are of most interest, notably those relating to growth, stem form and wood quality. Investments in GM technologies should be weighed against the possibilities of exploiting the large amounts of generally untapped genetic variation that are available within forest tree species in nature. Biosafety aspects of GM trees need careful consideration because of the long generation time of trees, their important roles in ecosystem functioning and the potential for long-distance dispersal of pollen and seed. In the fisheries sector, most GMOs show increased growth rates; therefore, concerns about environmental risk focus more on predation, competition and genetic pollution. GM fish may pose risks to the environment because of their increased rates of feeding on prey species; their wider environmental tolerances, which allow them to invade new territories and possibly to displace local native populations; and their potential for genetic mixing with, and thus the altering of, the composition of natural fish populations. Proponents of GM fish maintain that these fish will be very domesticated and will not survive well in nature. the burden of proof should be placed according to the above requirements and the standard of proof should be commensurate with risks and benefits. The establishment of reference points is critical and will indicate where much of the uncert-ainty lies as well as, therefore, where much of the monitoring, research or study is needed. In the course of NASCO discussions about the conservation of Atlantic salmon, it transpired that there were no reference points for allowable levels of genetic introgression between farmed and wild stocks of salmon. Alien species and genotypes that are used throughout the world, such as tilapia and domesticated salmon, present these same risks. The process of evaluating the risks of farming GMOs should be the same as for the farming of any aquatic species that is new to a local ecosystem. It should be based on an ecosystem approach that considers the spreading of impacts once a species is introduced. Although no GM fish have been commercially released, countries concerned with salmon fishing in and around the North Atlantic have agreed to apply a precautionary approach. Earlier experiences with the collapse of populations of several species of fish of economic value in that region may have prepared fisheries policy-makers from these countries to attempt this negotiation and application of the precautionary principle.